Described in 1923 1 as being in an area about 8 yds. square enclosed by walls 6 or 7 ft. high, with an entrance near the N. end of the W. side, and stone seats on the inside. 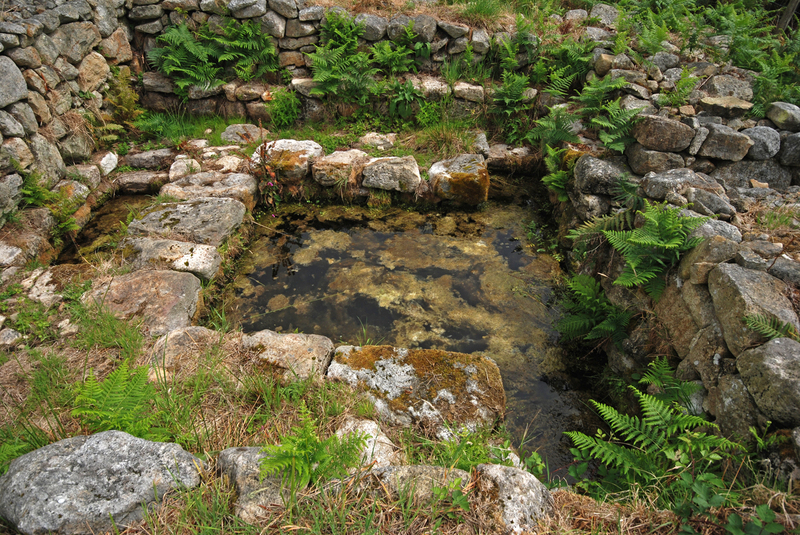 The main bath, in the S. part of the enclosure, was about 4 yds. by 3 yds., with steps to the water in the S.E. and S.W. corners. A smaller tank for drinking 2 was adjacent on the N. Both were supplied from the spring outside on the S. The structure was restored about 1890 but has become too dilapidated and overgrown for detailed examination. 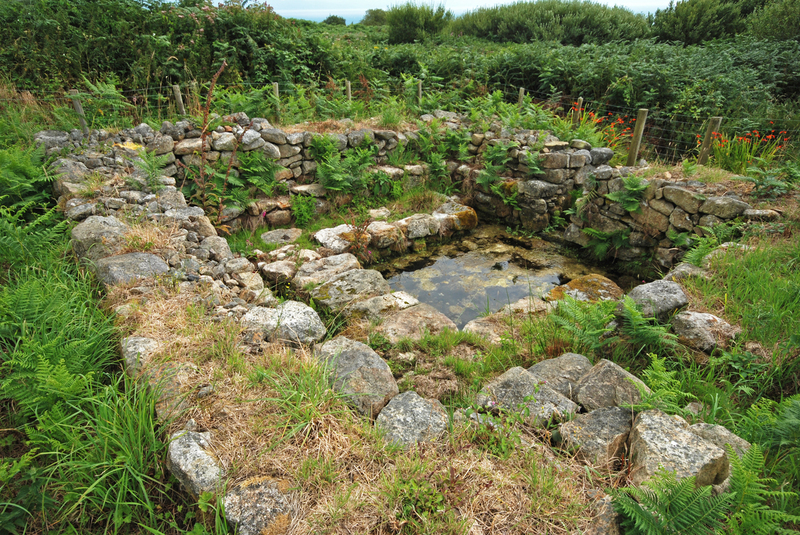 Holy Wells, p. 153 (given as in Llanengan parish), with refs. There is no trace of the chapel referred to. 1 Arch. Camb., 1923, p . 309. 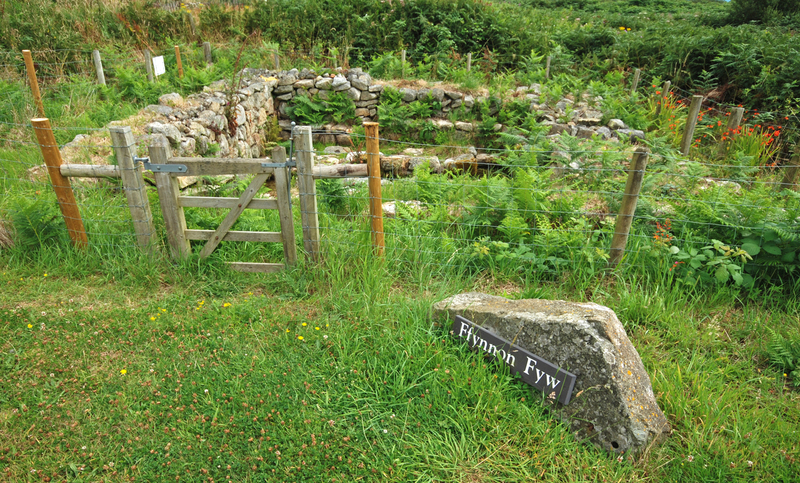 The site was cleared up in June 2014 by the AONB Team and Keep Wales Tidy volunteers. It was previously cleared over 5 years ago and, thanks to these efforts, the condition of the well is reasonably good.